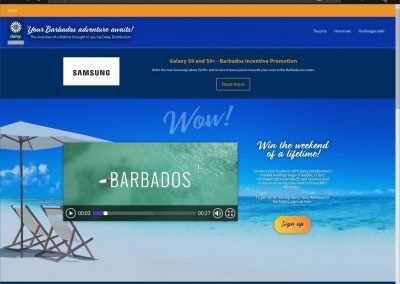 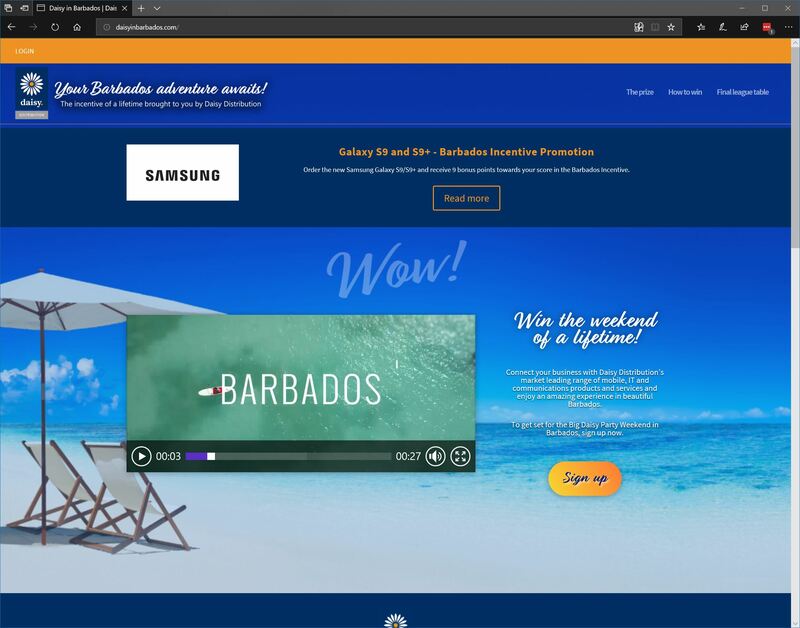 Chaos Created worked with Freshly Squeezed Events on a microsite/web app for Daisy Distribution’s Daisy in Barbados promotion. 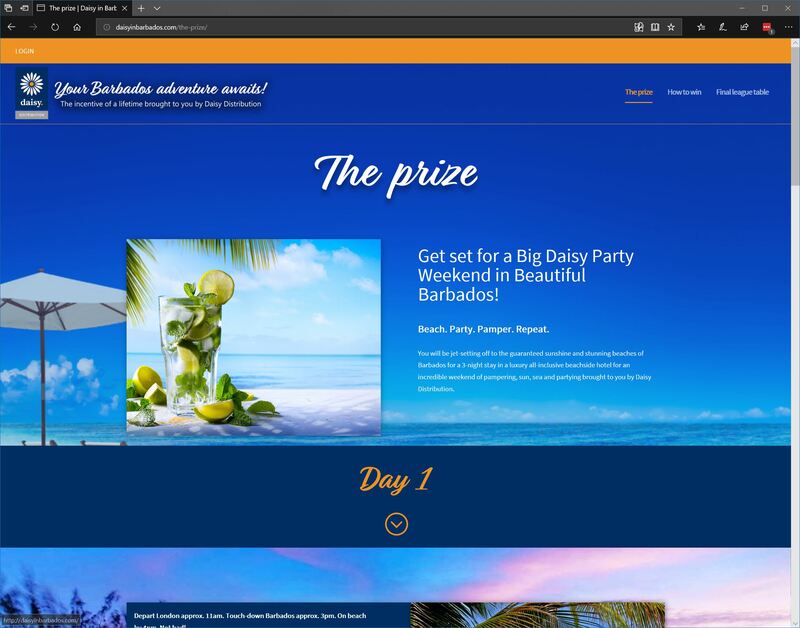 The competition was open to all partners who were able to earn points throughout the incentive. 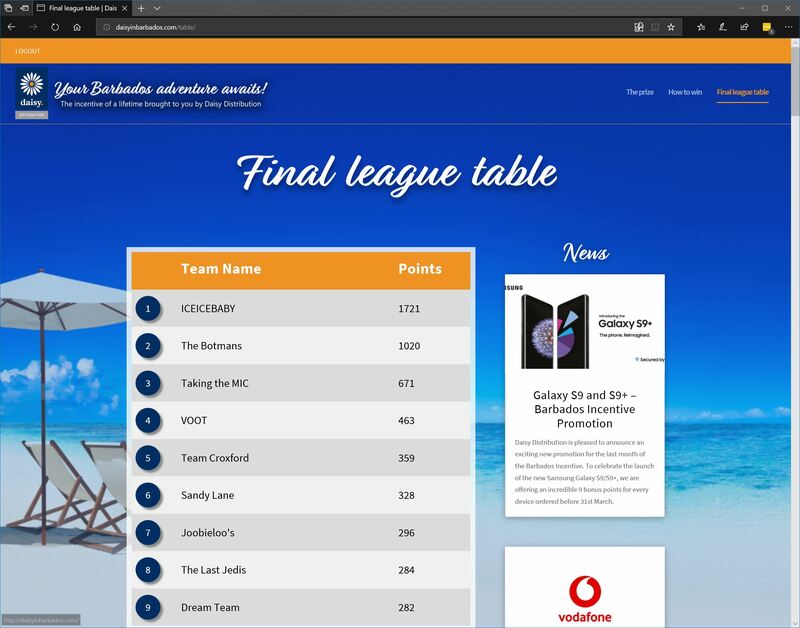 The top teams were awarded with a 3-night trip to Barbados. The site build included a members area, weekly league table, and regular news and promotions where partners could earn bonus points. 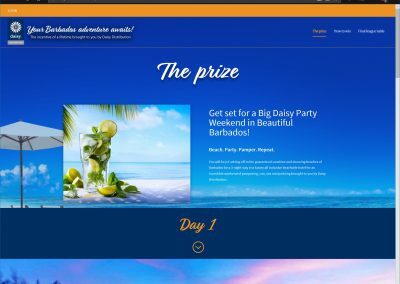 We worked with Freshly Squeezed Events and Daisy Distribution to create a microsite/web app that was on brand, responsive, and captured the excitement of the incentive.